Most Ladies love money and everybody knows this. They can do anything to get ‘cool dollars’. But who doesn't love money? 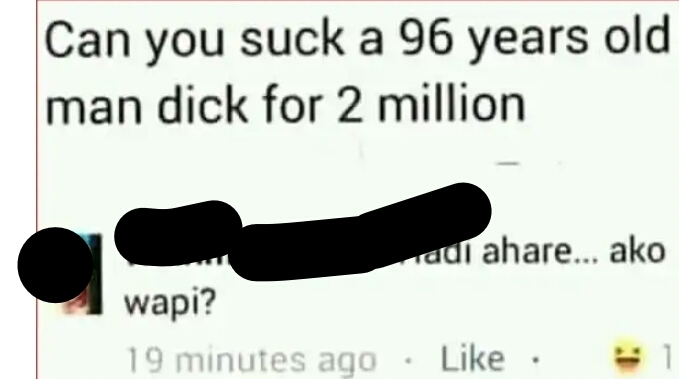 Someone asked ladies whether they can ‘mumunya’ the d!ck of a 96 yr old for 2 million and the way this lady responded will make your day. She replied: "even if he's a thousand years "
LoL, guess what we saw when I digged into her profile, she's a first class slay queen and her photos are sultry.